A completely unique position on the Morzine ‘strip' and 50 metres from the Pleney lift and piste. Ski hire for Colibri Uno is provided by Doorstep Skis who offer an in chalet fit service. It was time to bounce Morzine accommodation into the future. The only caveat was that it had to be closer to the piste than any of our other chalets. Not so easy? Job done. Cutting edge accommodation only a stone's throw (we tested it) from the Pleney piste and bang on the Morzine ‘strip'. The local cinema was demolished to make way for two outstanding designer apartments with room to swing a couple of Marmots mouth to tail. 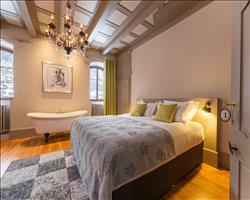 Contemporary design with a cool veneer of classic furniture, Italian walk in showers and ubiquitous flat screen TVs. The staple diet of the modern day skier has not been forgotten, with a balcony hot tub from which you can discreetly survey the après-ski revelry below. Colibri Uno sprawls its 250m2 across the first floor of our building. There are four bedrooms arranged to the quiet rear of the building. These can be arranged as twin or doubles, each with en suite bathrooms, some with both bath and shower and all with independent WC. Two of the bedrooms have additional bunk beds. There is a lavish living area with wrap around balcony to swallow you up and cosset you in front of the fire. A lift wafts you effortlessly from street level below. Twin/Double with en suite bathroom (bath and separate shower) and separate WC. Balcony (access to hot tub). Space for cot. Twin/Double with en suite shower and separate WC. Bunk beds. Space for cot. We update Colibri Uno's details often, but facilities do change. e.g. some extras listed by the supplier as "free" or included might only be for the first time you use them, or for one time per party, then charged for further use. If any specific feature is essential to your holiday, make sure you ask us to confirm the details of it before you book your holiday. This package holiday to Colibri Uno in Morzine, France departs Sunday 29th December 2019, for a 7 night stay on a "catered chalet" board basis. A local tourist tax (Taxe de Sejour or Kurtaxe) is levied by many councils in European ski resorts. It varies by standard and type of accommodation and is age dependent, so not everyone is charged. It's not included in the basic price of your holiday and is usually paid locally. For reference, the average charged in winter 15/16 was between 50p and £2 per person, per night. Portes du Soleil (Adult 6 day): €225. Ask for a quote when booking Colibri Uno. 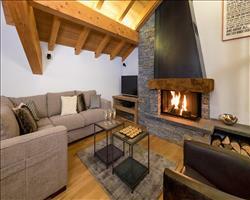 Chalet Nevada Morzine France, Gatwick to Geneva 29th December. 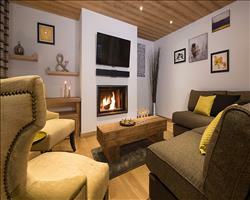 Little Lumi Morzine France, Gatwick to Geneva 29th December. 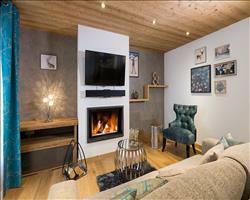 Chalet Kenai Morzine France, Gatwick to Geneva 29th December. 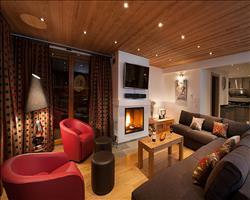 Chalet Kaila Morzine France, Gatwick to Geneva 29th December. The Manoir Morzine France, Gatwick to Geneva 29th December.